Trek take on the mid-fat tyre size on a production bike for the first time. Check out the radically different Stache. Trek has updated its Stache range to create its first plus size tyre bike. Plus, or mid-fat, tyres straddle the middle ground between conventional mountain bike tyres and fat bike tyres. A plus sized tyre is between 2.8 and 3.25 inches wide and a fat tyre is between 3.25 and 5 inches wide. 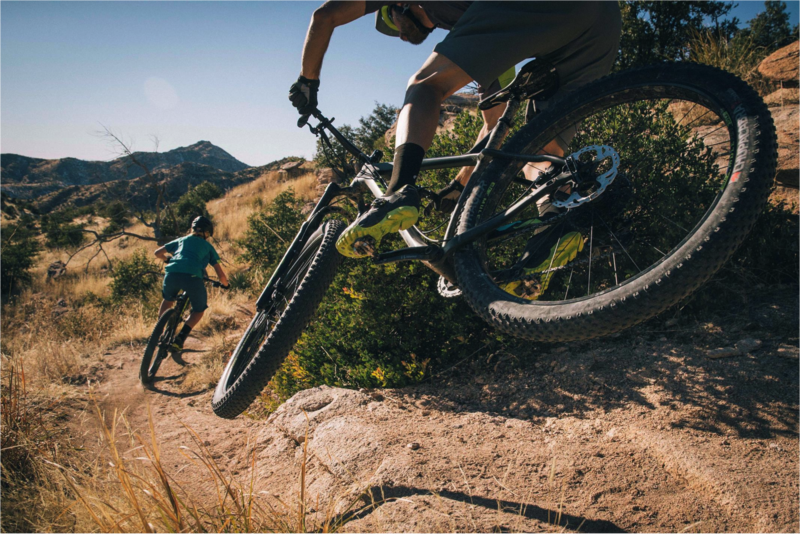 We reviewed the Stache 8 hardtail last year, and suggested a few geometry tweaks would unlock its potential, but we never expected this. 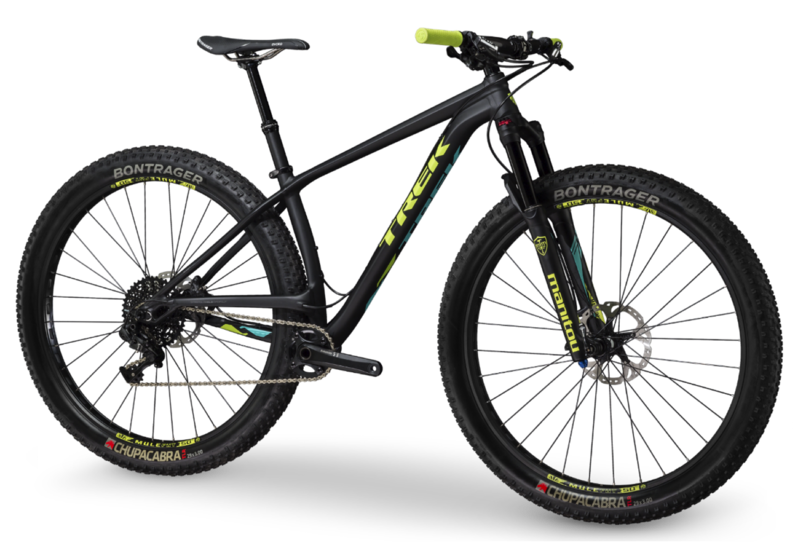 Trek is hoping to “push the boundaries of the trail hardtail category” with the plus size tyres on the new Stache. It claims that the wider contact patch and ability to run lower tyre pressures will lead to better climbing and descending, especially on technical terrain. Trek hopes this will give riders more confidence to attack a trail than on a conventional hardtail. 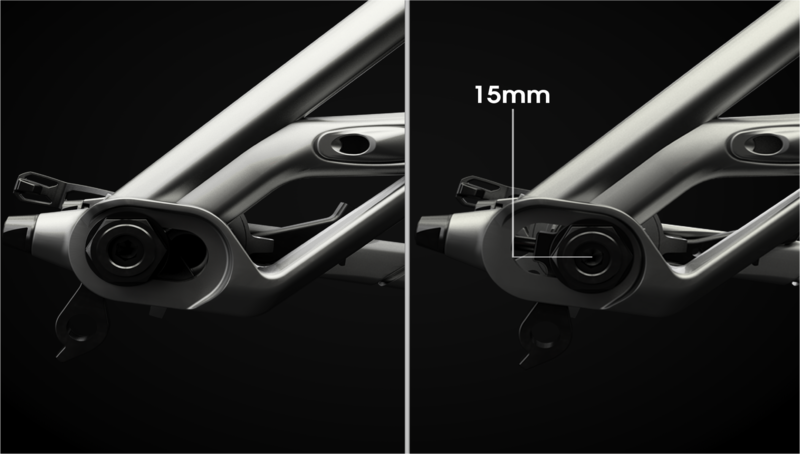 The bike can be set up with 29+, 27.5+ or regular 29in wheels due to a sliding rear dropout with 15 mm of adjustment. The Stache was born out of Project Weird, launched in Spring 2012. The project was never meant to produce a production bike, but simply aimed to discover “how short a chainstay is too short for a 29er”. The decision to run plus sized tyres came in summer 2013 to combat the rough ride of the shorter chainstay. The research produced the new Stache. 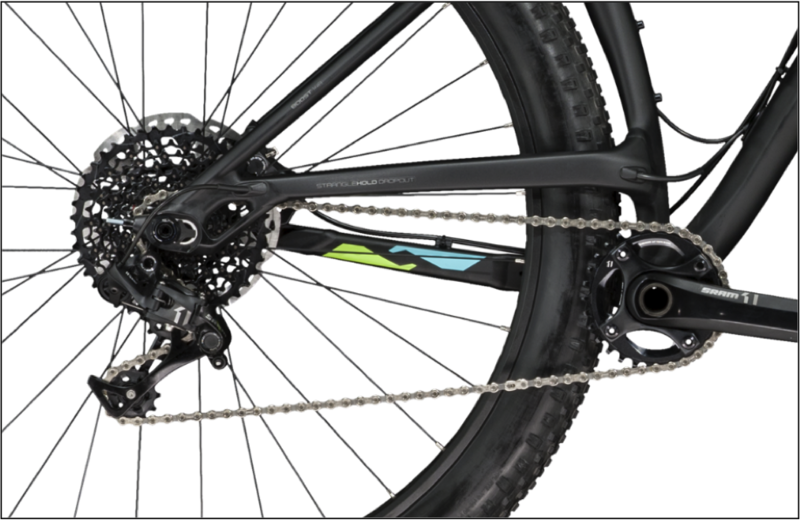 With an elevated chainstay on the crank side, combined with a singlering set up, Trek was able to significantly overlap the chainring and wheel and create a 420mm long chain stay. This is compared to a 437mm chainstay on a Niner ROS 9 and 446mm on the Surly Krampus. Trek claims the shorter chainstay makes for a more lively ride and allows the 29er to jump and manual better. Trek was the early adopter of the new Boost standard hubs and the Stache is no different. In fact, in an attempt to stiffen up the bigger wheels, it is the first bike to feature both 110 and 148 standards at once. The bikes will have Boost 110 at the front and Boost 148 at the back. The Stache 7 will cost £1,900 and the 9 will cost £2,800, both will be specced with SRAM drivetrains and Manitou Magnum forks. There is a frame only option available for £700.